It was a jinx that started way back in 2005, when the Gunners lifted the FA Cup, but 7 years on, Arsenal have still not managed to get the ghost of their backs, as they now enter their 8th season, without any silverware to show for it. During this trying time, a period of transition, and stadium moves, and departures of high profile stars, we have seen a number of young players strut their stuff, and almost season after season have come close to winning silverware, but yet haven’t managed to cross that ever elusive finishing line. Today I make an attempt at presenting before you the best 11 Arsenal players during this period, who could’ve helped cross the finishing line. It will be fair enough to say that Arsenal have lacked the kind of assurance and solidity in goal, since the departure of Jens Lehmann. He was outspoken, vocal, crazy and a great shot stopper. He was massive in the 2005 FA Cup Final against Manchester United where he made a barrage of saves, and saved Paul Scholes’ penalty. He was also instrumental in the 2005-2006 season, when despite a testing league campaign, the Gunners beat the likes of Real Madrid, Juventus and Villarreal to face Barcelona in the final, where, of course, in a bizzare twist of fate, the German became the first goalkeeper to be sent off in a Champions League final. He however did set a record on the way, by not conceding a goal for 853 minutes, which saw him win the Champions League Goalkeeper of the Year award. He would make a surprise return in 2011, where he played a league match, following goalkeeping injuries, and secured his 200th Arsenal appearance. Gael Clichy was a symbol of consistency and made the left back position his own for 6 full seasons, after the highly controversial departure of Ashley Cole to Chelsea. Clichy was fleet footed and proved to be one of Arsene Wenger’s best defensive protege’s. His bombing runs from down the left were a treat to watch, and so were his quick interplay with the midfield. Though some fans would like to associate with a fine 2010-2011 campaign, where he was literally flawless, others would associate with that horrendous last minute mistake in an ill-fated league match against Birmingham City in 2008, a game which changed the entire course of Arsenal’s season. He left the club in 2011 to big spending Manchester City for £7 million, where he won the league title in his very first season, joining a select band of players to win the league with two different clubs. William Gallas arrived Arsenal in 2006, in exchange for Ashley Cole and some money from Chelsea, and became one of the mainstays in defence. He was a vocal leader, and a very experienced defender, after 5 seasons with Chelsea. While most fans might question his leadership abilities, there was very little to prove otherwise on his defensive side of play. Despite their differences, he and Kolo Toure forged a strong partnership, which almost saw us win the title in 2007-2008. However, the haunting moment of that season remains, an inconsolable Gallas crying in the centre circle, after the 2-2 draw with Birmingham, and despite the speculation that he would be stripped of captaincy, he retained the captain’s armband for a few more months, before a revealing interview saw the armband being handed over to Spaniard Cesc Fabgregas. 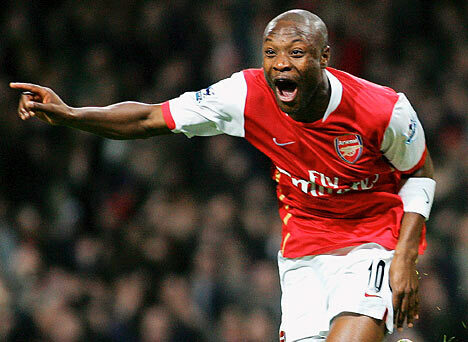 Despite all of his shortcomings, Gallas arguable is the best defender during this barren time. In 2010 he moved to North London rivals Tottenham. 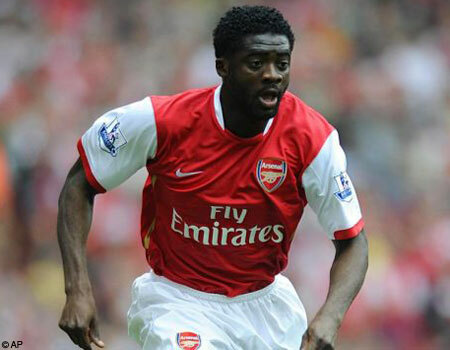 One of the shining lights of Arsenal’s 2003-2004 campaign, and a fan favorite, Kolo Toure was arguably one of the best Arsenal defenders of the last decade. His commitment, desire to work hard, and humbleness was unmatched. First, he built a strong partnership at the back with Sol Campbell, and also helped the Swiss duo of Phillipe Senderos and Johan Djourou to settle at the club. He was a lynchpin during the 2005-2006 run to the Champions League final, where he also managed to stab in the last European goal at Highbury against Villarreal in the semi-finals. He then built another good pair with William Gallas, but things became sour when the duo had a bust up, and Toure handed in a transfer request. He moved to Manchester City for £16 million in 2009, where like Clichy he won the title, in his 3rd season with the Middle Eastlands club. 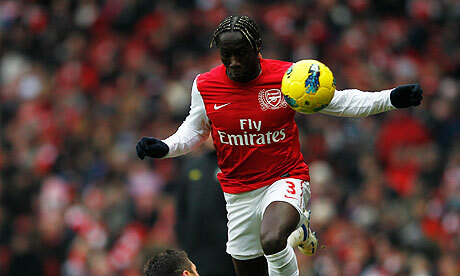 Bacary Sagna arrived in the summer of 2007, a shy young unassuming lad, but has gone on to become one of the best right-backs in the league, and also christened as “Mr. Consistency” at Arsenal. A composed defender, with good pace, and a good crosser of the ball, his talent was there for everyone to see, as he made it into the PFA Team of the year in his very first season. His ability to adjust in different defensive formations and players has been key, as well as his ability to link up with attacking play. He will surely be one of the most important players next season, if Arsenal are to make a serious aim at the Premier League title. One of the last Invincibles to depart, Gilberto Silva, was a highly accomplished defensive midfielder from the land of attacking prowess, Brazil. Snapped by Arsene Wenger, post Brazil’s World Cup win in 2002, Gilberto formed a strong midfield partnership with Patrick Vieira. A very simple yet elegant midfielder, he was never the one to make a fuss. Highly influential during the 2003-2004 campaign, he became the mainstay in midfield, post the departure of Vieira to Juventus, and also was vice-captain to Thierry Henry. His impressive displays in the Champions League won him many plaudits. He also scored the first Arsenal goal at the Emirates, and with Thierry Henry injured for most of that campaign, Gilberto became Arsenal’s captain. He scored 10 goals in the process and he was instrumental in helping youngsters around him such as Fabregas, Flamini, Clichy, van Persie slowly mature into top Premier League players. With the emergence of Flamini in midfield, he eventually decided to move on to Greek side Panathinakois in 2008, from where he has since moved to his homeland club Gremio. Arguably, one of the best players during the trophyless years, Fabregas became one of the best players in the Premier League under the visionary tutelage of Arsene Wenger. Having been plucked from Barcelona’s famous La Masia academy at the tender age of 16, the Spanish maestro went on to become one of the finest midfielders in the league. His vision, ability to beat defences, cretaivity, whole hearted approach and tremendous maturity made him one of the most loved Arsenal players of recent times. He made his first impact into the team as a dreadlocked brash midfielder in 2004, before bossing his master Patrick Vieira in a Champions League match, as he slowly built his reputation as a vastly talented player. He built on this and played every single league game the following season. He won the Golden Boy Award and even made it into the UEFA Team of the Year as he notched up 16 assists. Despite intense speculation linking him to Real Madrid and Barcelona, Fabregas remained loyal, as he continued his impressive form into the next season, where he scored 13 goals and assisted 23 times, as Arsenal came within a whisker of the league title. He won the PFA Young Player of the Year award and was named in the PFA Team of the year. He was made captain in 2008, and despite a season marred with injuries he managed 16 assists. 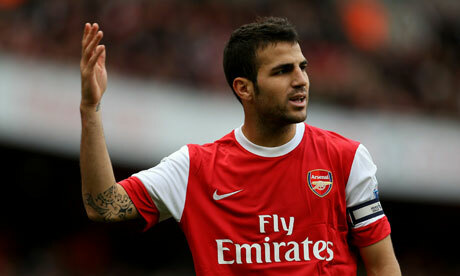 Fabregas’ best season was to be 2009-2010, where he scored 19 goals and assisted the same number. He also warmed the hearts of Arsenal fans, where despite a leg fracture, he scored the equalising penalty in a 2-2 draw with Barcelona in Europe. He again made it into the PFA Team of the Year. His final season was to be the 2010-2011 season, where Arsenal lost the League Cup final, which Fabregas missed due to injury, and were controversially beaten by Barcelona in the Champions League. Arsenal also missed out on the league title. He moved to Barcelona in 2011 for £35 million. This was a particularly hard slot to choose, but I just had to go with Arshavin just pipping the likes of Tomas Rosicky and Samir Nasri. Arshavin captained Russia in their fine Euro 2008 campaign, and attracted interest from all over Europe for his silky intelligent passing. 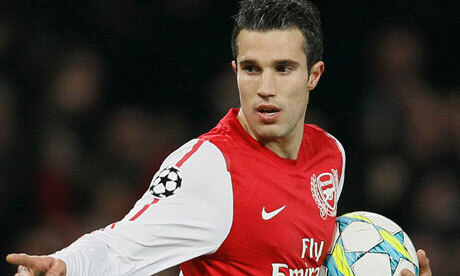 He moved to Arsenal, however in February 2009, with the Gunners sealing the deal in the dying moments of the window. He was the clubs record signing at £15 million. Despite his early struggles, Arshavin quickly made himself a cult hero at the club, with his funny Russian ‘meerkat-sounding’ accent, and his skillfull play. He scored a brilliant solo goal against Blackburn, and was the toast of the league, when he scored 4 goals in a single game at Anfield, a 4-4 draw, which all but ended the Reds title hopes. He started the next season in the same fashion, scoring against Celtic as well as a blistering strike against Manchester United in a 2-1 loss. With injuries to Robin van Persie, Arshavin was slowly converted from a left sided midfielder to a central forward, and he scored more vital goals for the club. In all, he scored 12 times, including another one at Anfield and assisted a further 7. Arshavin had a fine 2010-2011 season, where, despite a slump in mid season, he contributed 10 goals and 17 assists, including a famous winner against Barcelona. 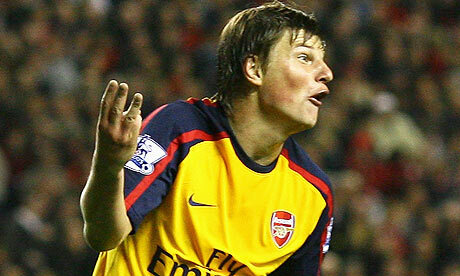 However, last season was a different story, as Arshavin struggles with life in London. He was completely out of sorts, and was a target of Arsenal fans for being lazy. He was even booed on to the pitch in a game against Manchester United. He was loaned for the rest of the season, to his previous club, Zenit St. Petersburg, whom he helped win the Russian title. His future at the Emirates remains uncertain. 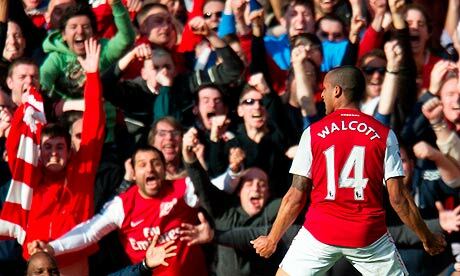 Walcott came to Arsenal from Southampton in January 2005, after being highly touted by top clubs all over England, as the next big thing in English football. Blessed with speed, tenacity and vision, Walcott chose Arsenal, and has over the course of the last 2 or 3 seasons, become a regular in the squad. A shock inclusion in the England team in World Cup 2006, despite not having played for Arsenal, he assisted Gilberto on his debut after coming on as a sub in the first competetive game at the new Emirates Stadium. He scored his first goal for the club in the Carling Cup final against Chelsea, which a youthful Gunners’ side eventually lost 2-1 to a star-studded Blues team. He slowly appeared more frequently, and scored in a 7-0 demolition of Slavia Prague, as well as his first league goals, in that disastrous game against Birmingham. He also ran the entire length of the pitch, to beat Liverpool’s entire defence, to set up Emmanuel Adebayor, in the Champions League quarter final at Anfield, which Arsenal controversially lost 4-2. In all he scored 7 goals and assisted 5 that season. He became more prominent the following season, scoring 6 goals and assisting 4. He endured an injury marred 2009-2010 campaign, but enjoyed a fine 2010-2011, where he scored 13 and assisted 9. He became a consistent starter last season, scoring 11 times and assisting 13, the biggest beneficiary being Robin van Persie. He still divides opinion among the Gunners’ faithful, who believe he can be largely frustrating at times. 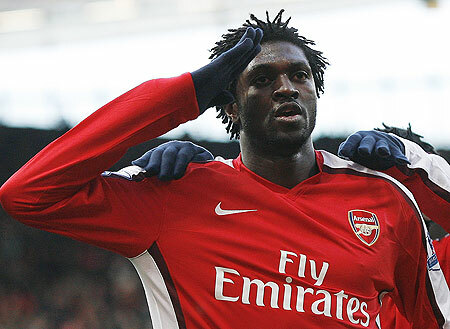 Emmanuel Adebayor arrived at Highbury in early 2006, still a raw talent, from Monaco. Lanky, and well built, with a good turn of pace, and ability to beat defenders, he quickly became one of the top strikers in the league. His first full season was a bit slow, as he scored 12 goals overall. However, he had a remarkable season in 2007-2008, when he scored 24 goals in the league, including a brace at White Hart Lane. He also managed to score against AC Milan at the San Siro and Liverpool at Anfield, in the Champions League, which eventually ended in disappointment. He was voted the BBC African Footballer of the Year for his performances. Despite being linked with a move away from North London, he stayed at the club, and scored 16 goals and assisted 7 in an injury marred 2008-2009 season. However, he moved to Manchester City for £25 million in 2009. He has since been the scourge of the Arsenal faithful, when in a league match against the Gunners, he kicked Robin van Persie in the face and later celebrated his goal by running the full length of the pitch to slide in front of the Arsenal fans. Since moving to Manchester City, he has gone on to play on loan at Real Madrid and Tottenham Hotspur, with the latter looking to sign him on a permanent basis. Robin van Persie announced himself to the Premier League in style, when he scored a fantastic injury time equalizer against Southampton in Arsenals first game post their loss to Manchester United, which halted their unbeaten run. Bought in from Feyenoord, van Persie was a talented, tenacious, aggressive, yet indisciplined young striker. He scored 10 goals in all in his first season, including a brace against Blackburn in the FA Cup semi-final. He partnered Thierry Henry, when fit, in Arsenal’s attack, scoring 12 times in the final season at Highbury. Throughout his career, the Dutchman was prone to injuries, and he managed only 22 goals and 13 assists over the next two seasons. This included one brilliant airborne volley against Charlton and a late equalizer against Manchester United. He had a fine 2008-2009 where he scored 20 goals and assisted 13. This included a winning brace against Chelsea, a spectacular strike against Liverpool, a hattrick of assists against Hull City, and the winner against AS Roma in the Champions League. He was again beset by injuries the following season, but yet managed 10 goals and 8 assists. He was given the number 10 shirt, worn by the original Dutch maestro Dennis Bergkamp in 2010. An ankle problem kept him out for months, but he hit top gear on his return. He scored numerous league goals, and then scored a brilliant equalizer against Barcelona from an impossible angle. He was however, sent off in the second leg, in what was a farcical decision. He captained Arsenal in the Carling Cup final against Birmingham, and scored the equalizer but Arsenal lost 2-1 in heartbreaking fashion, as van Persie went off due to injury. In all he scored 22 goals and assisted 7. van Persie’s best season was to come the following year, when players such as Fabregas and Nasri had left the club. He scored 37 goals in all competitions, which won him the Golden Boot, PFA Player of the Year, PFA Fans Player of the Year and the FWA Player of the Year awards. Among his goals were numerous winners, as well as a hattrick at Stamford Bridge, a brace against Liverpool, and goals against opposition such as Borussia Dortmund, Tottenham, Manchester United and AC Milan. He then dropped a bombshell on the club and its fans, as recently as two weeks ago, when he announced he wouldn’t be signing a new deal at the club, sparking a bidding war between Juventus and the Manchester clubs. 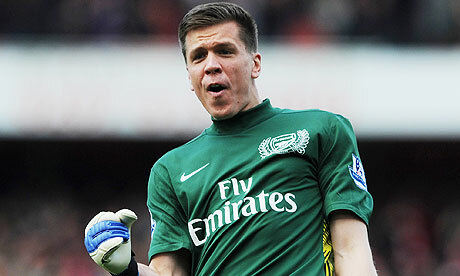 Szczesny has established himself as Arsenal’s number 1 and one of the bright young goalkeepers in the league. His outspoken attitude, brashness and vocality have made him comparable to Jens Lehmann, and he will surely be a great goalkeeper in years to come. Still all of 22, he has already proved to be a fine shot stopper. Barring the unfortunate incident against Birmingham in the 2011 Carling Cup final, and a certain disastrous outing in Manchester, Szczesny’s abilities have even drawn praise from Oliver Kahn. Bought in from Lorient in 2010, and instantly written of by many, because of skinny frame, Laurent Koscielny has established himself as one of the best defenders in the highly competetive Premier League. Despite a mixed first season, where there were extremes such as red cards against Liverpool and Newcastle, and a calamitous mix up in the League Cup Final against keeping Lionel Messi in his backpoket, he has firmly established as the most accomplished centre back in the team in his second season. One of the best one-on-one defenders in the league, his heading, positioning and awareness have instantly made him into the pundit’s favorite, as well as a fan favorite. 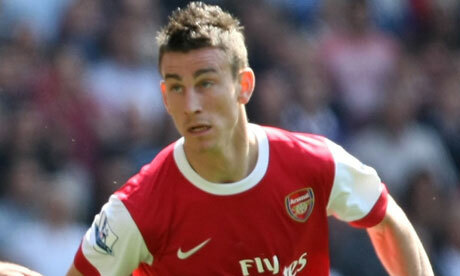 With all the injuries around him, he has ably partnered both Mertesacker and Vermaelen in defence. Signed from Ajax in 2009, Thomas Vermaelen epitomizes everything Arsenal. Aggressive, fearless, hard-tackling and a monster of a left foot. He announced his arrival in the league scoring 8 goals in his first season, as well as putting on some fine defensive displays. Though his second and third seasons at the club have been marred by injury, he and Koscielny put in some fine displays last season to give a glimpse of the future. 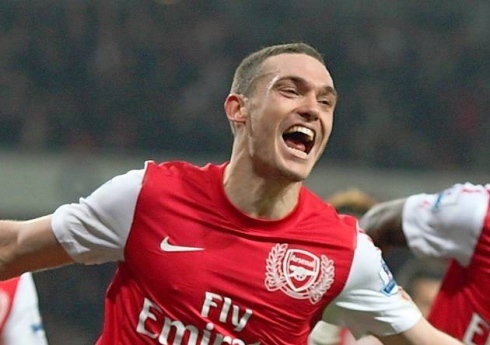 With the departure of van Persie looking imminent, Vermaelen looks set to captain the Gunners’ next season. I think Flamini just about edges Alex Song in this for me, just because Flamini was a better defensive midfielder than the Cameroonian. 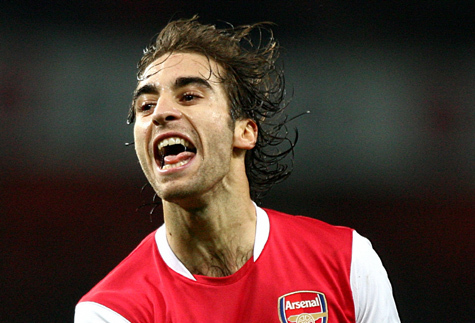 Flamini was bought in from Marseille in 2004, and quickly proved to be a utility player. He played a number of positions, without complaining, and played left-back for most games in the Champions League run to the final. 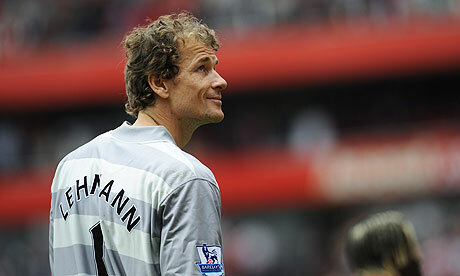 Here he kept the likes of David Beckham and Mauro Cameronesi quiet, as Arsenal went 853 minutes without conceding. He moved to a more central role over the next two seasons, taking over Gilberto, which allowed Fabregas to go forward as an attacking midfielder. The Spaniard and the Frenchman flourished during the 2007-2008 season, but Flamini decided to move to AC Milan on a free transfer at the end of the season. 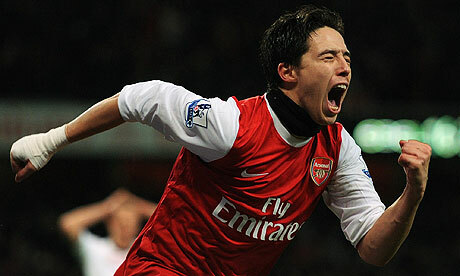 Courted by numerous clubs in Europe, Samir Nasri decided to sign for Arsenal in 2008, sealing a £12 million switch. He scored the winner, 8 minutes into his debut against West Brom. He took his time to settle into the league, and burst to the limelight with a fine brace against Manchester United in November that year. However, he failed to build on it, despite showing momentary moments of brilliance. He missed the initial few months of the new season due to injury, but slowly but surely made mark on the team, finishing the campaign with 5 goals an d 6 assists. This included a collector’s item against Porto, when he danced past Porto’s defence to score a magical goal. His dribbling skills were a treat, and he finally enjoyed a great season in 2010-2011, when he overcame the dissapointment of not featuring in France’s World Cup squad, to play his best season in England thus far. He scored 15 goals and assisted 5 to win the French Player of the Year award and make it to the PFA Team of the Year. However, he decided to move to Manchester City in 2011 in £25 million, in a much publicised move, which has since made him the enemy of the Arsenal faithful. Again a hard choice, between Wilshere and Arteta, but Wilshere just about tips this one for me. Born and bought up around the club, Wilshere has Arsenal DNA, and is a favorite with the fans. He played sporadically in 2008 and 2009, chiefly in the League Cup, where he was very promising. He is a box-to-box midfielder, with a brilliant passing ability, stamina and vision.A loan spell at Bolton bought the best out of him, and he was ready to make his step up with Arsenal in 2010. He played 49 games in his first full season with Arsenal, and won the PFA Young Player of the Year award for his magnificent displays, belying his age. One of the performances that stood out was against Barcelona in the Champions League, where he took on the challenge posed by Xavi and Iniesta. However, he failed to play a single game in the second season owing to injury, and Arsenal fans will hope he will be back at his best next season. Thierry Henry is the greatest player ever to don the famous red and white of Arsenal. He scored 226 goals during his first spell at the club, and considered by many to be the best player ever in the Premier League. Henry was awarded captaincy during the 2005-2006 season, after Patrick Vieira left. The Frenchman scored 33 goals that season, which propelled Arsenal to fourth and the Champions League final against Barcelona. These included goals against Real Madrid and Juventus. His 27 goals in the league included strikers against Liverpool and Tottenham. In the clubs first season at the Emirates, his campaign was cut short by injury, but he managed 12 goals and 7 assists. He would return to the club in January this year, and scored the winner against Leeds in the FA Cup, on his second debut. He also scored a priceless winner against Sunderland in the league. I hope you enjoyed reading! Do tell me what you think of this team. Would they have won us some silverware? Also, any other players you think should have been in there, or ones that shouldn’t be in there who are. Do comment below and let me know! Previous: Abundance of talent, RVP, Cazorla, Chamakh, Arshavin, Bendtner and all of that!